Birders are serious about their hobby. In fact, many birdwatchers search for binoculars that are specifically designed with birding in mind. This is because the lenses need to be of higher quality than the type of lenses found in binoculars used by the hunter or hiker. The Conquest HD is a pair of binoculars that are up to the task. 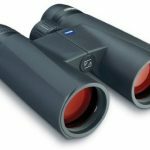 These binoculars by Zeiss are perfect for nature observation and birding. The lightweight, ergonomic design promotes longer use, providing ultimate comfort when you’re on your latest outdoor adventure. A more budget-friendly option compared to other leading birdwatching binoculars, the Conquest binoculars are durable, easy to use, and designed with wildlife observation in mind. Not all models of compact binoculars are created equal, and with birding, you have to be even more particular regarding the pair you decide to invest in. Binoculars are obviously the most important tool for birdwatching, which is why it’s important for the birder to choose a versatile model that excels in image clarity. The binoculars are solid performers when you’re out in the brush quietly observing nature, ready and waiting for a rare species of bird to fly by. These binoculars are powerful enough to capture every detail, no matter how small. The Conquest will allow you to enjoy nature in HD. The lens system is impressive and for the price, we were definitely blown away by the brightness and clarity. But do these binoculars offer the type of power and versatility that birders and avid outdoor enthusiasts are looking for? Designed primarily for birders, hunters and hikers searching for a more versatile pair of binoculars should read our extensive binoculars buying guide which features information on what to look for in compact binoculars and discusses other leading models on the market. While the binoculars are easy to use and offer above average viewing quality, they don’t offer the type of versatility that some users are looking for. The Eschenbach Trophy D 8×42 ED, is a great pair that can handle a wide range of applications, not just birding. They’re also available at a comparable price. The focus knob is very smooth and precise. The wheel turns with the same type of resistance as all parts of the action, with no slack. It offers excellent feedback. The user can make fine adjustments with the focus, which makes these binoculars a great choice for beginners. Adjustability is important, especially for birders who have vision problems. The simple focusing system is one of the binocular’s biggest selling points. These rugged binoculars feature a new matte finish and a softer grip that makes the binoculars comfortable to hold. While the binoculars feel very light in the hand, they’re also incredibly durable, thanks to the aluminum alloy construction and the thick rubber armor. The design is very grippy and comfortable. Overall, the design has a durable, elegant look that’s both stylish and modern. The binocular’s optics are bright and sharp. However, the interpupillary adjustment feels too stiff. Even when you apply the right amount of force to move the hinge, the adjustment is harsh and sudden, causing the hinge to move more than what the user intended. The bright lenses make these binoculars a great choice for birding. The HD lenses provide an exceptional viewing experience. The colors are clear and neutral thanks to the chromatic dispersion. While these binoculars offer an above average viewing experience, they simply cannot compete with higher priced models. The binoculars feature multi-coated lenses that include a dielectric mirror coating, and LotuTec protective coating that ensures a bright, sharp, vivid image in any type of lighting condition. The adjustable eyecups feature a total of four position options complete with detents and lock. The detents will require the user to use more force than should be necessary. Even at the highest setting, the eyecups do not move enough for eyeglass wearers to comfortably use these binoculars. The binoculars feature the widest field of view in its class offering three hundred and forty-five feet at one thousand yards. The binoculars make birding for a prolonged period of time more enjoyable. Offering an ergonomic design and a large focus wheel, users will be able to make precise adjustments, easily. The user’s index finger will naturally rest over the large focus knob which provides top feedback. Like other pairs of high priced binoculars that are designed for birding, the Conquest features roof prism lenses for improved clarity. The diopter adjustment can be found on the right eyepiece and consists of a thick rubber armor covered wheel that can be turned accurately and smoothly, using just enough friction so that it doesn’t even require a locking mechanism. Birders will not be disappointed with how the Conquest performs. The image quality is nothing short of magnificent, offering clear and bright imagery with impressive color rendition and excellent sharpness and contrast. The geometric aberration is low, but not completely absent. Any chromatic aberrations are almost completely nonexistent. The softness of the field of view will really come into play at the edges. Like most models in this price range, the lenses on the binoculars is very delicate, especially considering the multicoating design. We recommend regular maintenance at least once a week. The binoculars should be stored in a carry case in order to avoid dirt, debris, and dust from coming into contact with the lenses. As a birder, you want binoculars that offer top of the line lens clarity for a viewing experience that will allow you to catch all of those important details. But that’s not all. You also need a lightweight model that will allow you to hold the binoculars up to your eyes for a longer period of time in order to avoid startling wildlife. 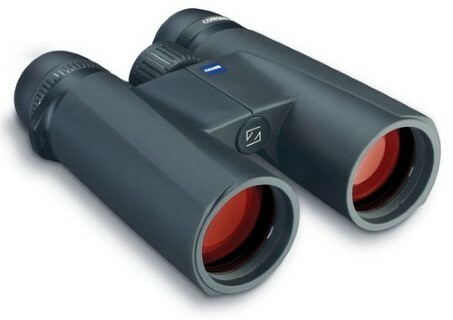 These binoculars by Zeiss can deliver that and more. Lightweight and versatile, we gave the binoculars a rating of four out of five stars.